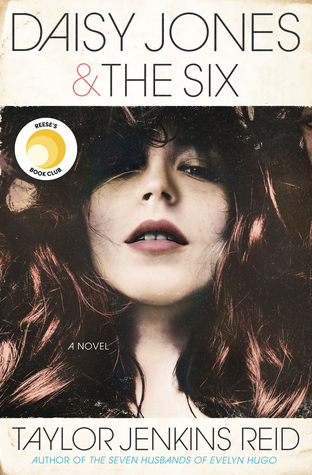 Told in Tim’s and Alice’s distinctive, disarming, entirely compelling voices, this novel is for readers of The Spectacular Now, Nick and Norah’s Infinite Playlist, and Paper Towns." Thoughts: Whenever I first read MY LIFE NEXT DOOR back in 2012, I just completely fell in love with it. The Garretts are probably one of the best fictional families out there and most certainly one of my favorites. It didn't surprise me that Samantha fell in love with both Jase and his eclectic family. Whenever I heard a book was being written from Tim and Alice's point of view, I pretty much fist pumped the air and shouted YES! Not only did this novel exceed my expectations, it melted, broke, and healed my heart multiple times. Needless to say, I loved this novel! Of the two points of views, Tim's is probably my favorite. It's funny how distinct his voice is compared to Alice's, and his thoughts are both complex and simple, just like almost every guy I know. What I mean by this is girls tend to elaborate and go into details and stress about the smallest things. Boys? They worry about the bigger issues but don't like to talk about it, and they also enjoy giving simple, one word answers. Yes, I know I'm stereotyping, and I'm completely pulling from my own experience, but I liked that I could relate with this book in that way. Alice and Tim both fit into these categories beautifully, and I loved them for it. Like MY LIFE NEXT DOOR, there's a twist in the novel I wasn't expecting transforming it from lighthearted romance to a deep coming of age story. While I knew Tim had an unstable family life, I didn't realize the depths of it. I'm glad he had someone like Alice to both admire and swoon over. Speaking of these two, let's talk about their chemistry! From the very beginning, you knew they had something special brewing between them. While they're romantic relationship is fantastic overall, this book isn't one based around romance. It very much as to do with family and finding yourself. The hint of romance is an added bonus. Also, and I'm just going to say it, little George is still my absolute favorite character in these books. I just love that adorable, sweet kid! Though this novel is very much a companion, I personally wouldn't read it without reading the previous novel only because there are a few spoilers that might ruin the first one for you. Yes, it can be read as a standalone, but I wouldn't recommend it if you haven't read the first one. If you're a fan of MY LIFE NEXT DOOR, you'll surely be a fan of THE BOY MOST LIKELY TO. It very much as a John Green feel to it that I think readers will enjoy. 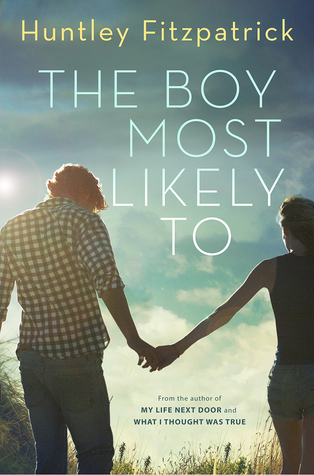 Giveaway: Thanks to the fabulous people at Penguin, I am giving away a copy of THE BOY MOST LIKELY TO. This giveaway is only open to US participants and ends at the end of the month! Good luck, and may the odds be ever in your favor. I really enjoyed The Boy Most Likely To! It was super interesting to get into Tim's head and learn his story, and I totally loved reading about him and what he goes through. Plus, seeing the Garretts and Sam again was really fun! Loved My Life Next Door and cannot wait to read Tim and Alice's story! I have loved Huntley's work from book 1! Her stories are realistic and have a sense of humor to them. I have heard such wonderful things about this book and other books by Fitzpatrick! I haven't seen any bad reviews for this book so far! The Garretts are one of the best families in fiction these days. No wonder this book is so highly anticipated. I'd love to win a copy. Thanks. I have recently started to really enjoy contemporaries, and Huntley seems to be one of the best! I would love to be able to read one of her books. This is a new author for me. I like that you get a little of both points of view. Dau CD | Dau CD Denon chinh hang, giá tot chi co tai Audiohanoi.com. My Life Next Door was one of the first books added to my tbr list on Goodreads when I signed up... and I still haven't read it! I would love it if I had both books at the ready. I've heard a lot of people exclaim their love for the series! I just found out that Huntley will be at a YA Literature Conference I'm attending in October in the Chicago area. I haven't had a chance to read anything by her yet, but I'm looking forward to checking her out (and I see she is one of your auto-buys!). I can't wait! Ahh! I'd love to win this! This has been on my TBR list for a long time. Thanks for the giveaway! Thanks so much. Please visit include game online 2016 fun kid today.